Willow bark has been used for thousands of years as anti-inflammatory and analgesic to reduce pain associated with arthritis and myalgia. It contains salicylic acid, which is used as a precursor to make Aspirin (acetylsalicylic acid). It inhibits cyclooxygenase enzymes (COX) involved in making prostaglandins that stimulate inflammation and fever. 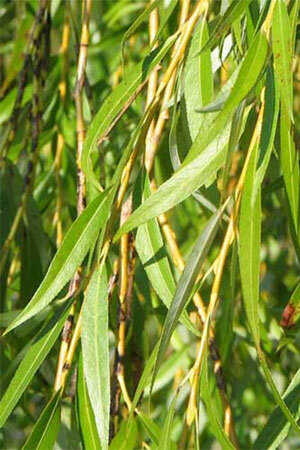 Caution: Willow bark can be toxic when not used properly. Consult a qualified healthcare provider before use.